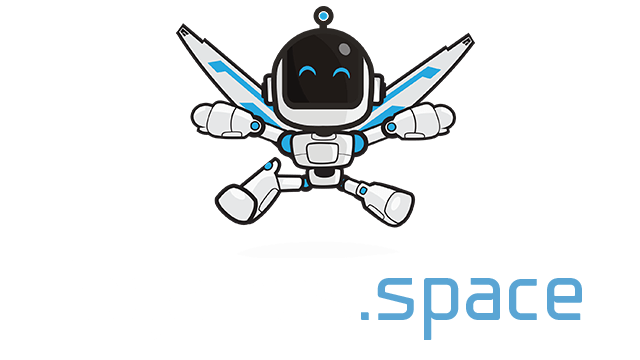 Kazap.io | Play Kazap.io free on iogames.space! 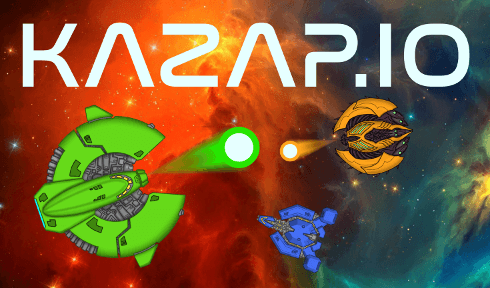 Kazap.io is a fast-action 2D dogfighting game where you collect energy to grow in power. Join your friends to take down larger players quickly, or test your skills as a lone wolf and survive as long as possible! Use your keyboard to control your ship. It controls much like an asteroids game with the addition of braking and super-boost. The left and right arrows keys, as well as the W and D keys rotate you left and right. The up arrow key and W fire your thrusters. Down Arrow and S to reverse thrust. K or X to fire your weapon. Z or L is to hit the brakes and stop, and turn slower. Collect energy orbs scattered around the map. As you collect them, you will grow. Once you hit size 30, your field of view will start to expand so that you can see more of the map around you. At size 60, you will appear on the navigation minimap in the lower right to everyone in the game, and you will be hunted! However, your power is massive, and you can hit them before they even get close, so show no mercy. Keep collecting orbs to achieve the higest score possible. In the early game, you are small, but not as weak as you think. Your main goal is to collect energy, which is found all over the map. Watch for red '!' symbols around your screen, they indicate that enemy fire is coming your way! Once you have honed in your piloting skills, you can go after other players, even the large ones. When you are small, you fire fast, and turn fast, but have low health. You will die in one hit from any other enemy. However, if you can get close, you can shred them with your right rate of fire. Approach with caution, weave around incoming fire, and use boost to get in close enough. Mid-game, you will be larger, and have greater map visibility. Use your visibily to your advantage to choose your fights. When attacked fly in reverse to draw your enemy to you. Your rate of fire is lower, but your shots do massive damage. Time your shots for when your attacker is trying to change direction, or when he cannot yet see you.